Nothing highlights and compliments the overall look and feel of a bathroom like the Cezanne Freestanding bathtub from Acri-tec. Preferred by professional designers, a freestanding bathtub allows you to artistically position your tub for the best, most relaxing view, or to simply create more space. With ergonomically shaped, ultra-deep bathing wells, every Acri-tec freestanding tub is designed to provide the ultimate in luxury. Each Cezanne Freestanding bathtub is hand-crafted using high-gloss, non-porous, stain resistant, white acrylic and offers completely hidden plumbing. To make installation easier, we've pre-installed adjustable levelling legs to allow for irregularities in your floor without dealing with the complications of shimming. When you're ready to make a bold statement with a sophisticated design, choose an Acri-tec freestanding bath to create a beautiful, one-of-kind space. Slip into a luxurious bathing experience. The Plaza combines elegant style with affordability and is available in either Left or Right hand facing versions. Created with comfort in mind, the Plaza Acrylic tub offers a spacious bathing with a 168L bathing well. 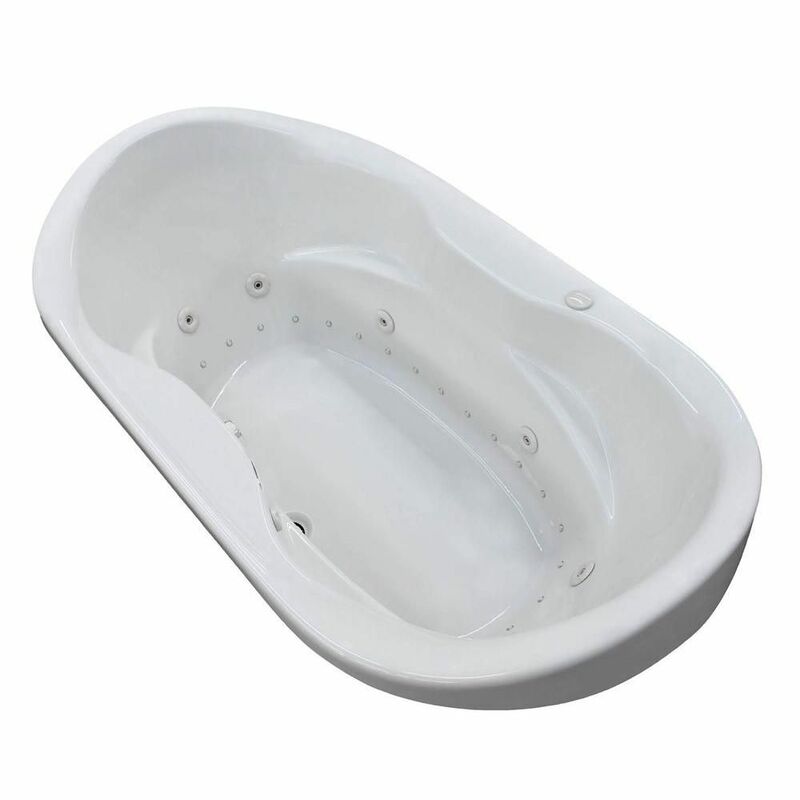 Ruby Diamond 6 ft. Acrylic Drop-in Left Drain Oval Whirlpool and Air Bathtub in White Ruby series is equipped with two cockpits, providing moulded arm and back support. Drop-In installation ensures that whirlpool bathtub will fit into various styles of bathroom settings. Increased height of side edges creates additional support, while adding comfort.